The two challengers that I was up against were The Dream Thieves by Maggie Stiefvater and Charm & Strange by Stephanie Kuehn. 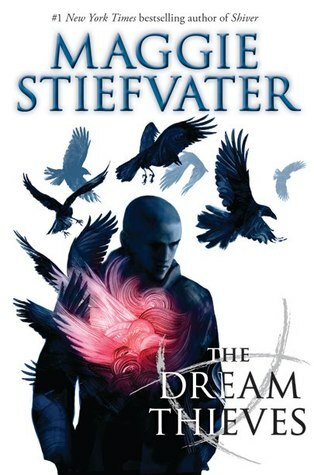 The Dream Thieves is the second book in Stiefvater’s Raven cycle. It follows the continuing adventures of Blue, who has joined up with a cohort of private school boys in order to revive a long dead Welsh king who they believe is buried in Virginia. This work delves deeper into the backstory of the violent and mercurial Ronan, and also introduces us to the mysterious Grey Man. Stiefvater’s characters are always witty and fun to read, the various relationships are lovingly built up, and the last five chapters of The Dream Thieves had my eyes glued to its pages, but the beginning of the book was so odd and disjointed, that I had a less than immersive reading experience (it took me far too long to finish). Full disclosure: the book may have also been put at a disadvantage in this challenge because I had not read the first novel in the series and reading the two back to back was jarring. After the adrenalin laced magic and wonder of the end of The Raven Boys my attachment to the characters was diminished by Stiefvater’s return to her first love, character development. The endings of both of Stiefvater’s books are spectacular, so much so that I am almost able to forgive each books’ interminable beginning… but not quite enough to let it win this round. Charm & Strange is a wonderful book, but also problematic to review. I actually have a great deal to say about the work, but it is one of those books where the impact will be diminished if too much is revealed in advance. For librarians, however, I will caution that the cover image and intentionally vague synopsis may lead you to inaccurately categorize the work and I would warn against recommending this book to teens until after you have read it (and I personally will stick with pitching it to older teen/adult audiences). This brilliant first work delves deeply in to one young man’s story, told in alternating chapters. Present day Win is living at a boarding school in Vermont, exerting control anyway he can, mostly by isolating himself and starving his body. In contrast we also get a series of flashbacks that show the same character as a young boy, Drew, lashing out in rage at himself and everyone around him. The more you learn about his past and present the more you want to immerse yourself into his life, and Kuehn masterfully builds the pace in both time frames to a heart shattering climax (that may or may not have left me in tears). She never loses focus and never backs off, which makes for an extremely intense reading experience. 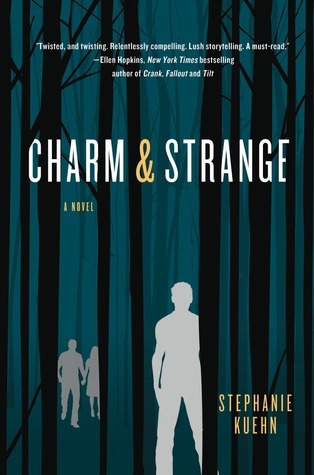 Both of these books have strong and compelling endings and each author graced their characters with rich and complicated lives, but the clear winner for me was Charm & Strange for doing such a wonderful job of exploring deeply disturbing real world issues in a unique way. This entry was posted in Uncategorized and tagged Series, Supernatural, YA literature by Lady Bill. Bookmark the permalink. I am a Branch Librarian in Indiana who has a deep and abiding love of dragons and a penchant for dressing like Ms. Frizzle.